I got my independance with the help of Karen from The L Factory. "Karen had great patience and made me feel relaxed. I would recommend her to family and friends"
Driving Lessons Lytham St Annes - Choose the Right Driving Instructor. 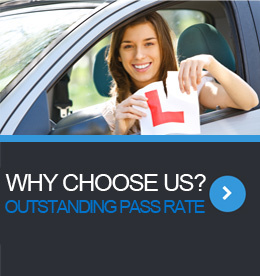 Lytham St Annes Driving School - Make the right choice? Ask your friends and family first, who they would recommend. Then do a quick Google search and you come up with a list of potential driving schools in your area. If possible speak to somebody directly at the Driving School to get a 'feel' for who you are dealing with. Word of mouth is a very good indication as to whether the Driving School is professional and reliable and puts the needs of their students first. That’s why asking your friends which driving school and instructor they are with can help you make the right decision first time. 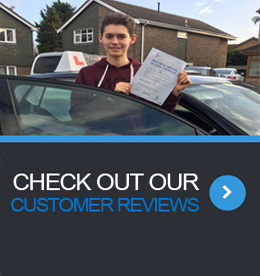 Why Choose Us for your driving lessons in Lytham St Annes? At the L Factory Driving School our aim is to help you throughout the learning process, from start to finish, step-by-step. We make it as straightforward and enjoyable as possible. We understand learning to drive is a huge step. Taking the time to make the right choice can save you time and money later. Learning to drive with a qualified Instructor that you can trust and rely on will not only build your confidence but help you pass your driving test as soon as you are able. Many locals have already discovered the benefits of using The L Factory for their driving lessons in Lytham St Annes as their first choice. Thanks to our friendly, professional and relaxed approach we'll get you on the road in no time. If you passed your test some time ago and need to build your confidence again then we can help with that too. Sometimes just a few lessons with an Approved Driving Instructor (ADI) may well be all you need to start feeling confident again behind the wheel. But while getting out on the road may seem daunting, it's an essential skill that will give you greater freedom and confidence. We're not only here to help learners as most people assume. We can help you get back on the road after after a break or simply to help with those all important parking skills or motorway driving. Whatever your level of skill, you'll find that every member of the The L Factory team can help you to discover a confidence you didn't realise you had. Call or text 07891300803 for your driving lessons in Lytham St Annes and all surrounding areas, you could be out on the road a lot sooner than you think! Worry more about the quality, rather than quantity, and the truth of the matter is You get what you pay for! I know that cost is very important but it shouldn't be at the top of your list when making your decision on which driving school to choose. Karen has been a qualified ADI driving instructor for many years so she knows what she’s talking about. She is fully qualified and registered with the Driver & Vehicle Standards Agency and a Grade A approved driving instructor (ADI). She also happens to be qualified to ride motorcycles and Heavy Goods Vehicles C + E) so you'll be in safe hands. We offer great value for money with block bookings available. It's the only place to drive your ambitions of becoming a fully qualified driver. Good driving is about control, judgement and road awareness. Learning to drive is about practicing and improving all these skills. At the L Factory Driving School all our students are taught a range of techniques to bring them up to test standard and beyond. Operating in Blackpool, Lytham Saint Anne's and surrounding areas, Karen creates a friendly, comfortable, environment for learner drivers. We also help experienced drivers who wish to improve on their skills.. Learning should be enjoyable and it is with The L Factory Driving School. If you are looking for Driving Lessons, Driving Instructors and Driving Schools in Lytham St Annes then now is the time to come to The L Factory for some real results! Don't believe us? Look at some of our Customer Reviews. Using the latest teaching methods and modern driving lesson resources we can help you pass your driving test first time. 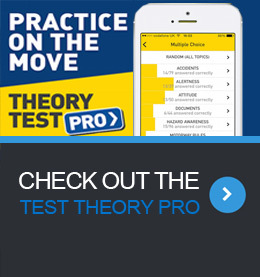 The L Factory offers full access to Theory Test Pro - why not try it out now and test your theory knowledge. Driving lessons could be available now Call or text 07891300803 and The L Factory will get back to you asap. Pass with The L Factory expertise and knowledge! Free text message reminders the day before your lesson. Refresher lessons and post-test training for fully licensed drivers. Includes Motorway Training and reverse parking skills. Lessons can be tailored to your particular needs. Please call if you have any questions - we'll be happy to help you.